In our forty-two years of doing business with our customers we have performed thousands of jobs and have developed some wonderful relationships. While we would like to say that we are perfect, unfortunately we aren’t. While we do our utmost to totally satisfy our customers, sometimes we have to work extra hard to accomplish that. Our customer’s complete satisfaction with any work we do is important to us; referrals and repeat business make up the backbone of our business. While no company can honestly say they have never had a customer who was less than 100% satisfied, if you are a homeowner who can be satisfied, we are very confident that our company can meet or exceed your expectations. Please feel free to review the comment cards submitted by our customers- your friends & neighbors and judge for yourself. L.J. 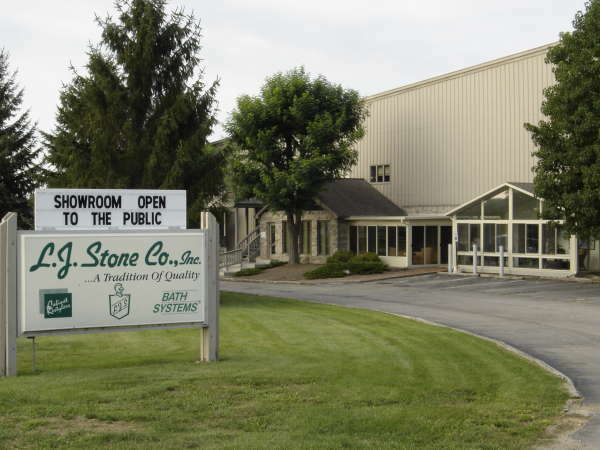 Stone Company is rated 4.9 out of 5 based on 820 reviews from around the Web. they did a wonderful jo. I think they have a good alternative to a walk-in tub and they have very good quality. That is why I went with them! Tony did a super job. I have never had any problems with them and they have always been upfront and have done good work. Quality work, good communication, even managed to work us in early! They have done several jobs for me and I have been very pleased with their work. They did an excellent job. They had good workmanship. They had professionalism. The only problem I have is with the one hand bar that the serviceman came to install. We are so happy with the new shower. Everything from the beginning to the end was wonderful. I'm very impressed with the materials, the quality, and the way everything performs the way it should. But, it cold be just a little cheaper. Overall it was quick and a great experience. I would recommend them for any of their services! Installer was professional and polite. He was very organized and cleaned up after completing work. Very happy with the shower! Tony Douglas did a fantastic job installing our shower. He was both professional and friendly. I just thought everyone with the company was very professional and personable from my initial contact at the Home Show.